It may be known for its dry, desert-like conditions, but Arizona is a hot spot for water-related accidents. According to the Centers for Disease Control and Prevention, the state’s child drowning rate is 25 percent higher than the national average, and children between the ages of 1 and 4 are drowning at twice the national average. This is in part due to a lack of fences and other barriers placed around private swimming pools, but nine canals—largely unfenced—throughout the Phoenix Valley claim drowning victims every year as well. “We have so many open canals all across Phoenix, and the summer is always boiling hot. 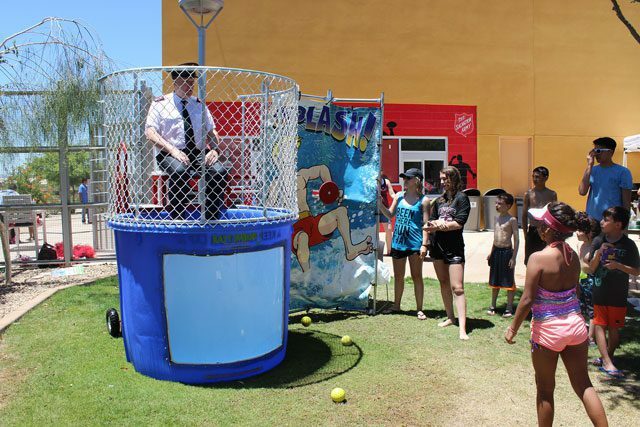 You’re not supposed to go swimming in the canals, but kids jump in to cool off, and that’s when kids drown,” said Major Gwyn Edward Jones, Corps Officer and Administrator of The Salvation Army Ray and Joan Kroc Corps Community Center Phoenix South Mountain. The community center has responded to this city-wide problem by offering free swimming lessons with the help of a grant from the Salt River Project (SRP), a local electric company that runs the canal system. “We have a very high percentage of children in the neighborhood who can’t swim, and statistics show that if you haven’t learned to swim by the time you’re 12, you probably won’t learn to swim,” Jones said. The community center has always offered swimming lessons, but this grant made it possible for those in need to receive free training over the last several months. The program includes a swimming assessment, offered to children in third grade or younger on select Fridays of the month, to determine if children can be safe in water, and, most notably, if they’re able to jump into the water and get back out on their own. For children who do not pass the assessment, eight, 35-minute complimentary swim lessons are offered at the Kroc Center. In addition to these monthly assessments, SRP sponsored Waterpalooza, a day-long water extravaganza focused on fun and games related to water safety. “We have water slides and our splash pads open, and pretty much throughout that whole Saturday, we do back-to-back swim lessons,” Jones said. More than 1,000 people attended the May 20 event, and 160 participated in free swim assessments during the day. All 160 participating in assessments during Waterpalooza were given the opportunity to sign up for a summer or fall session of swim lessons at no cost, regardless of whether or not they passed. To date, 200 people have participated in the assessments, many of whom have been 6 to 7 years old. All 200 have received vouchers for free swimming lessons, and 20 of these vouchers have been redeemed for the complimentary swim lesson sessions to date. During these eight lessons, kids begin feeling comfortable in the water, work on basic water skills and learn the fundamentals of common swim strokes. 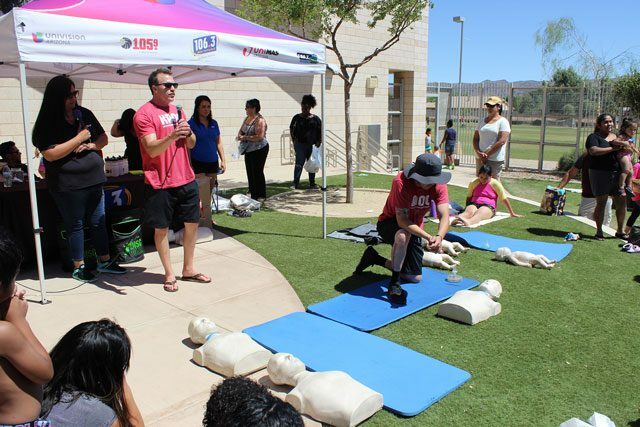 SRP has worked with a number of local organizations and programs that promote water safety. Though the SRP funds have allowed the Kroc Center to offer dozens of kids the opportunity to learn how to swim at no cost, free assessments are only scheduled into August, and this particular program will be discontinued in the fall without additional funding.